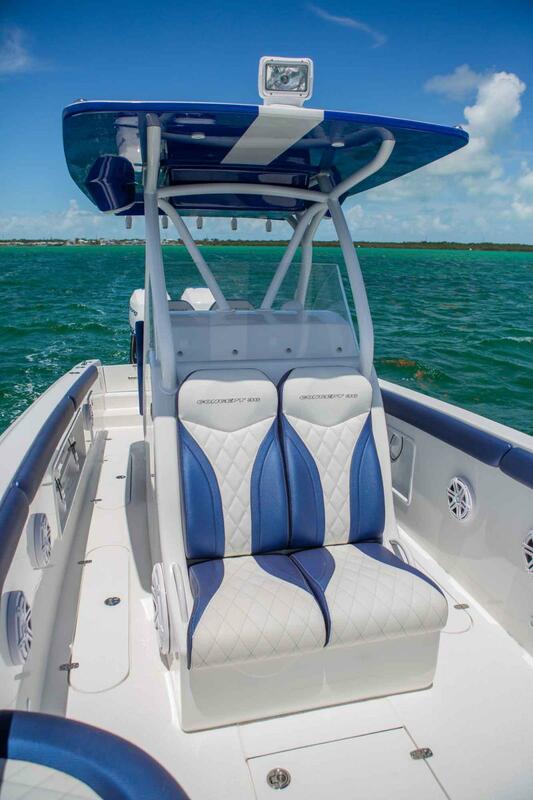 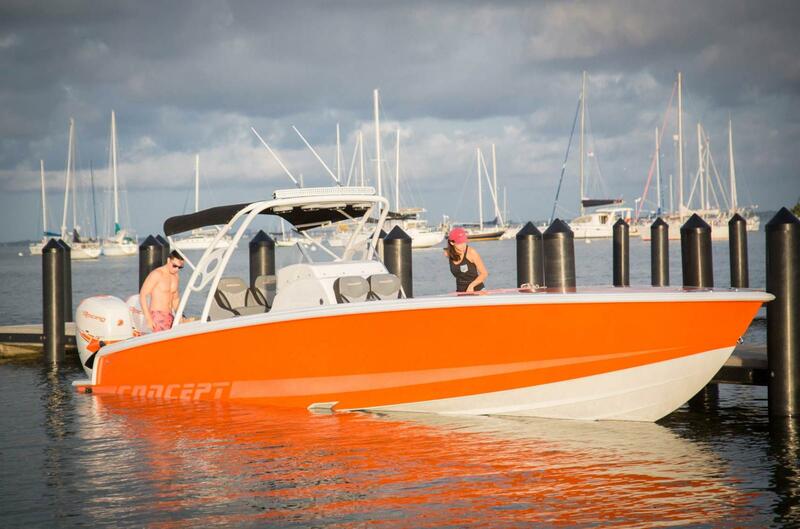 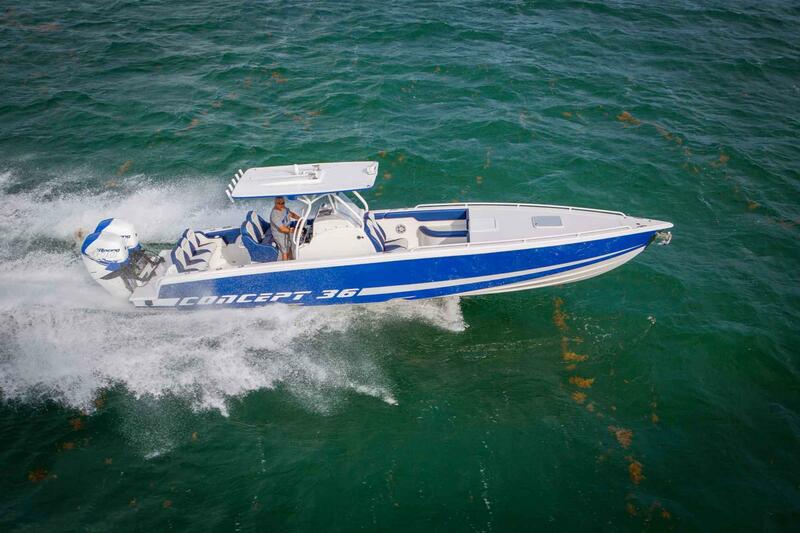 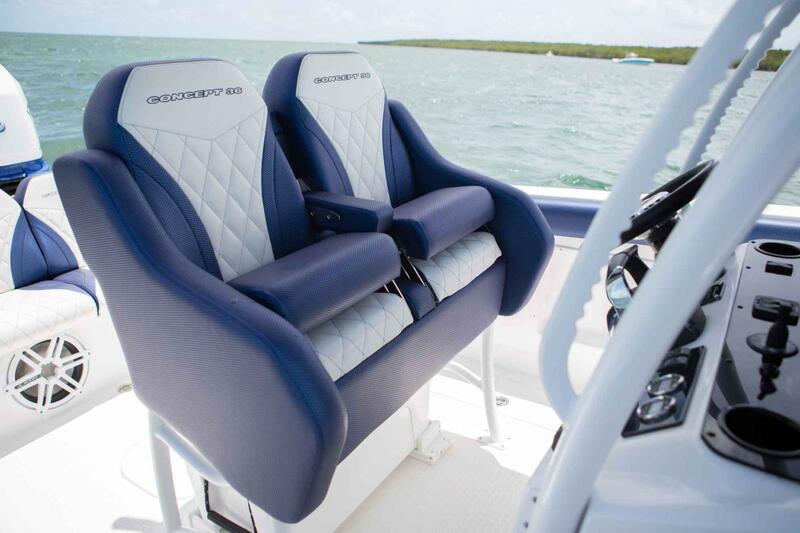 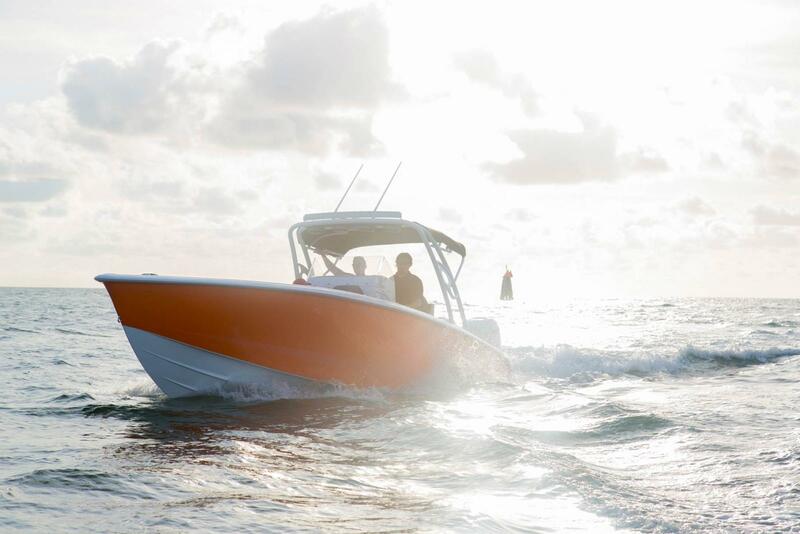 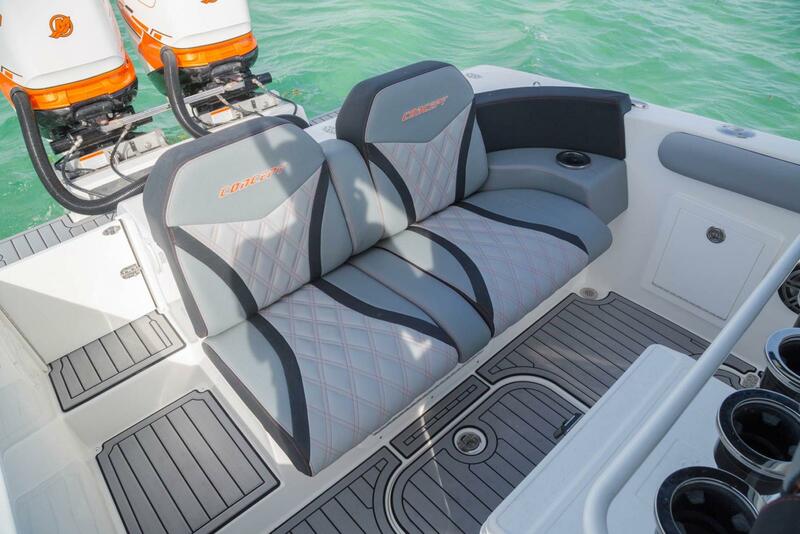 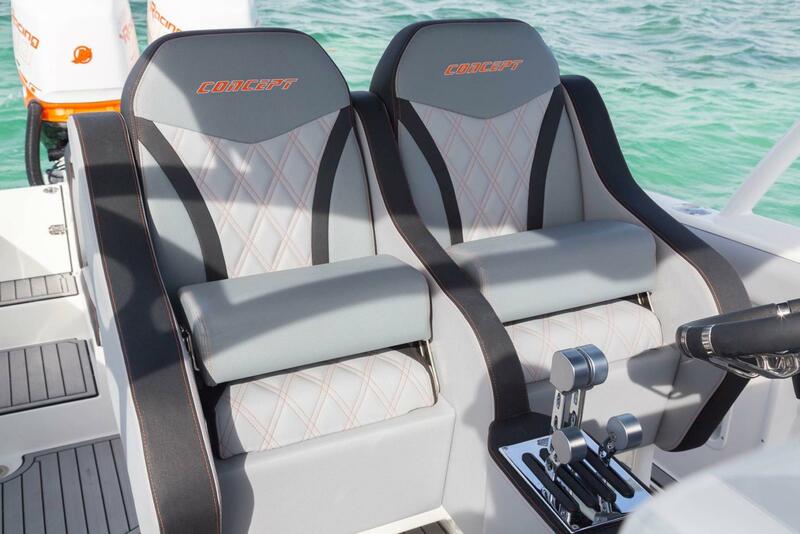 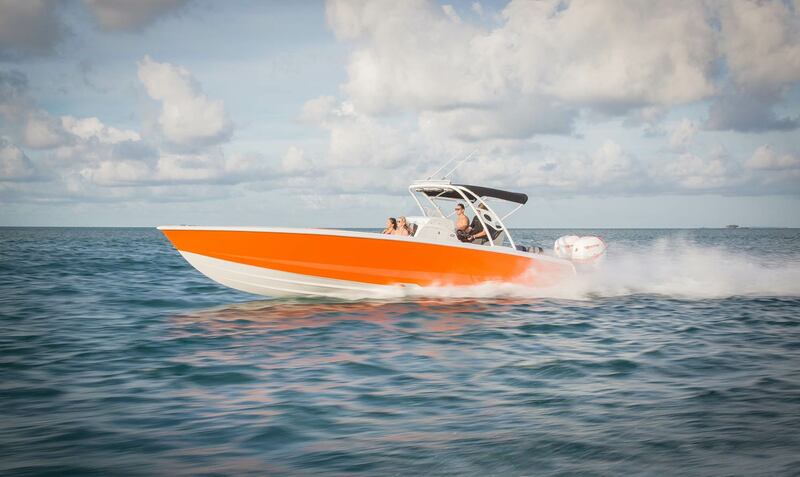 Crafted with performance and comfort in mind, the Concept 36’ Cabin Series is just what you need for that overnight run to the islands or spending the weekend exploring the Keys. 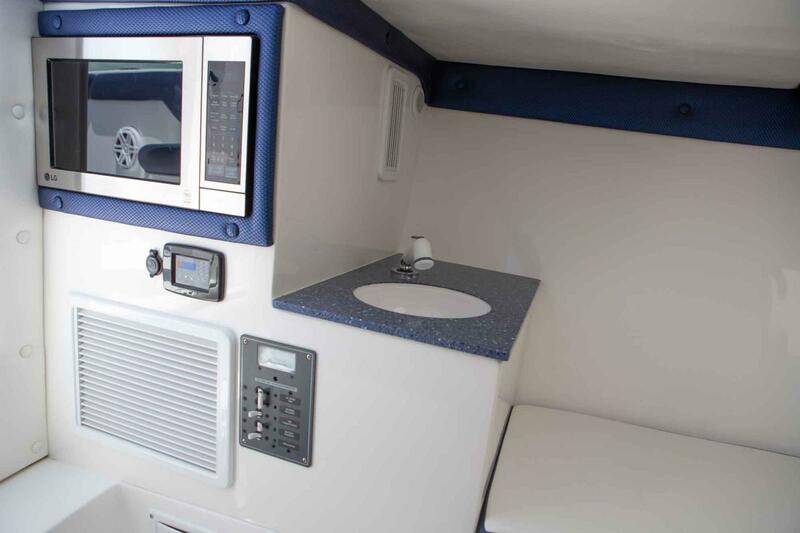 The spacious cuddy cabin provides shelter from the sun during the day and overnight accommodations for you and your guests. 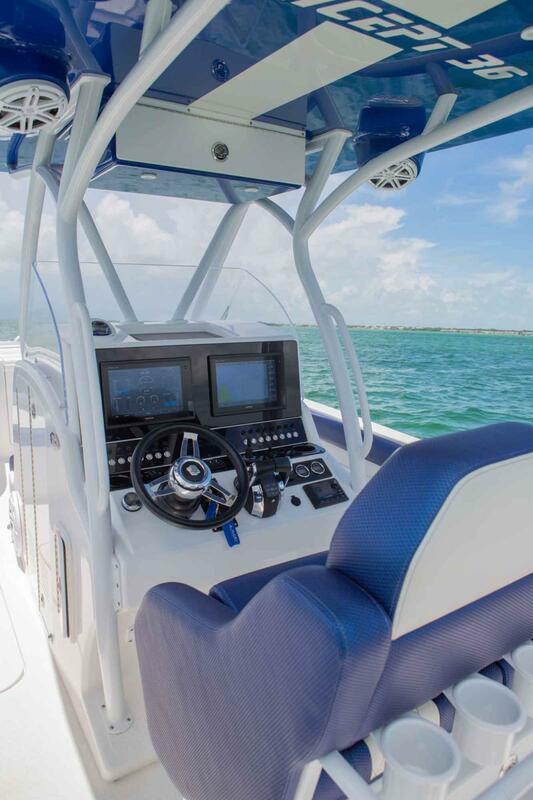 Plus, the deep-V hull with an integrated engine bracket delivers an exceptionally smooth and dry ride regardless of conditions. 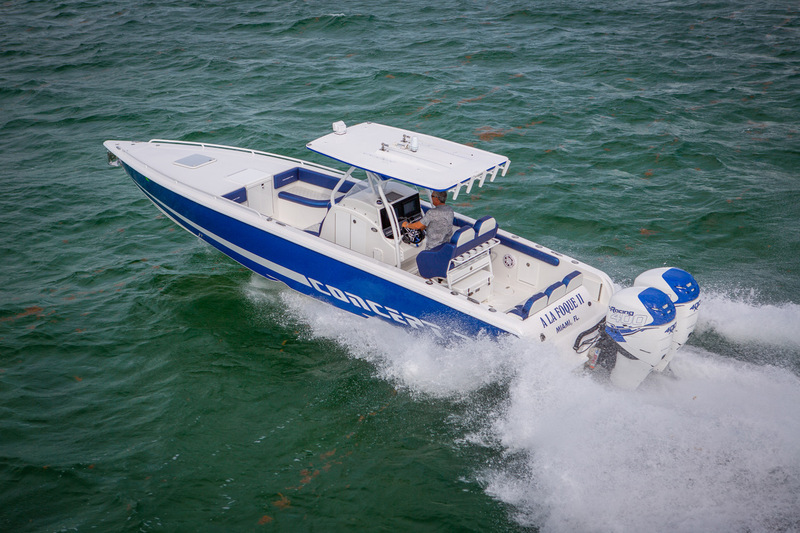 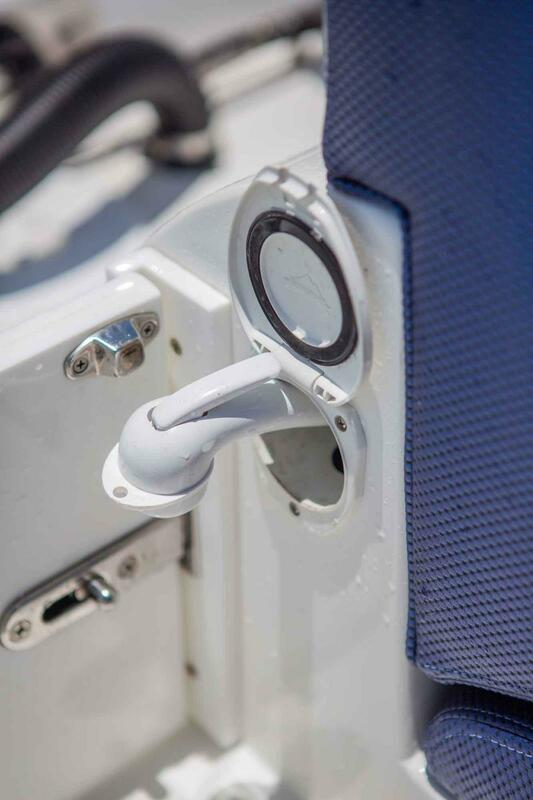 The deep-V hull with an integrated engine bracket delivers an exceptionally smooth and dry ride regardless of conditions. 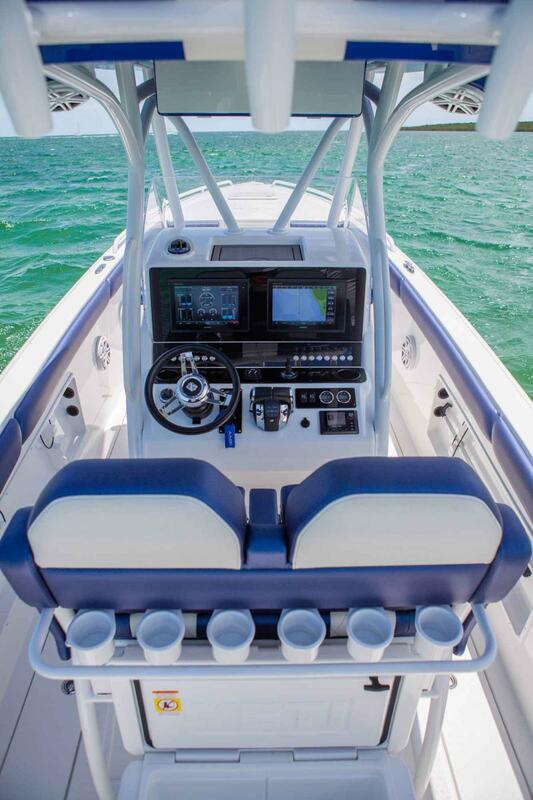 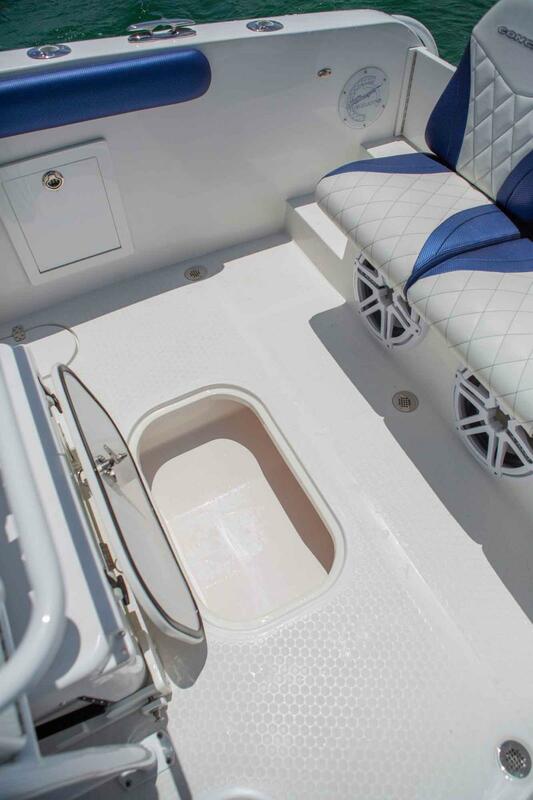 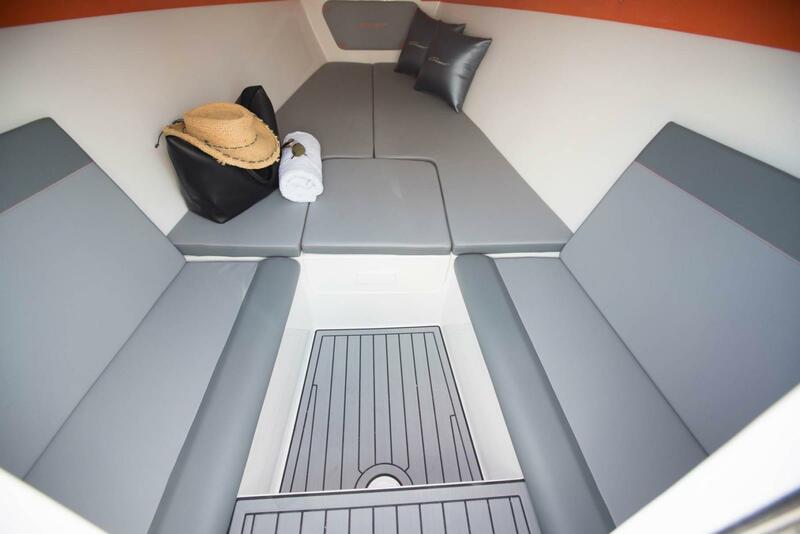 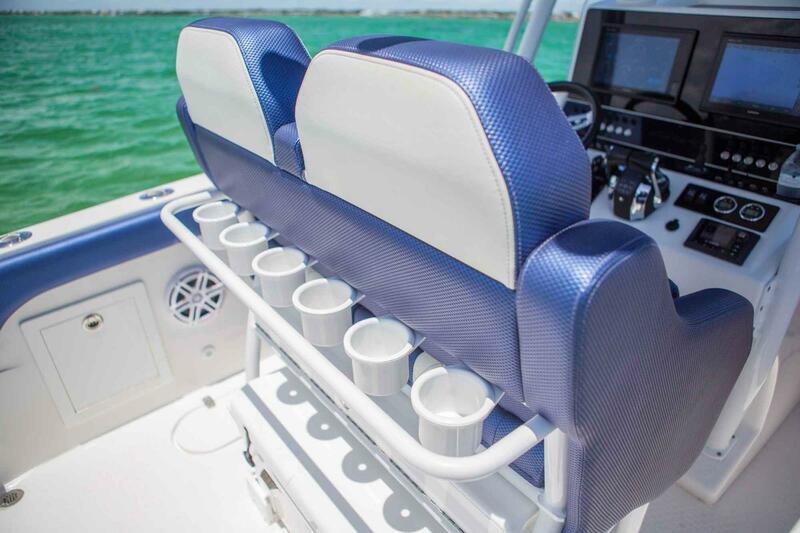 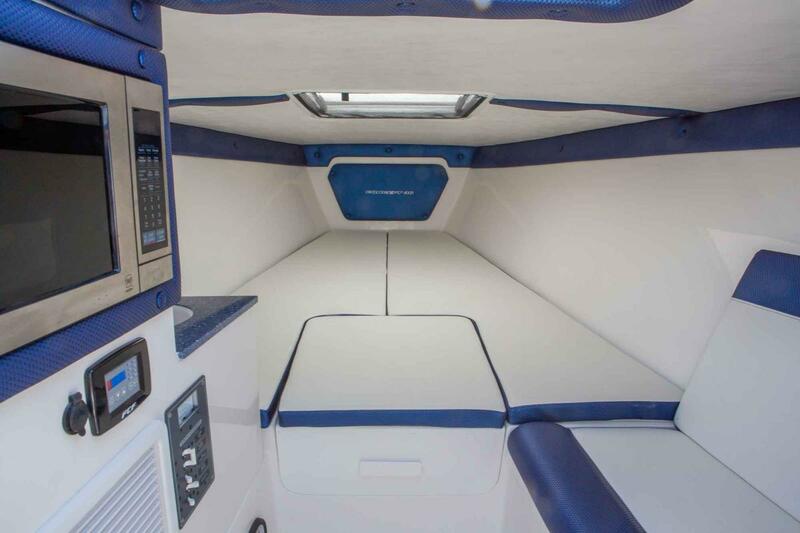 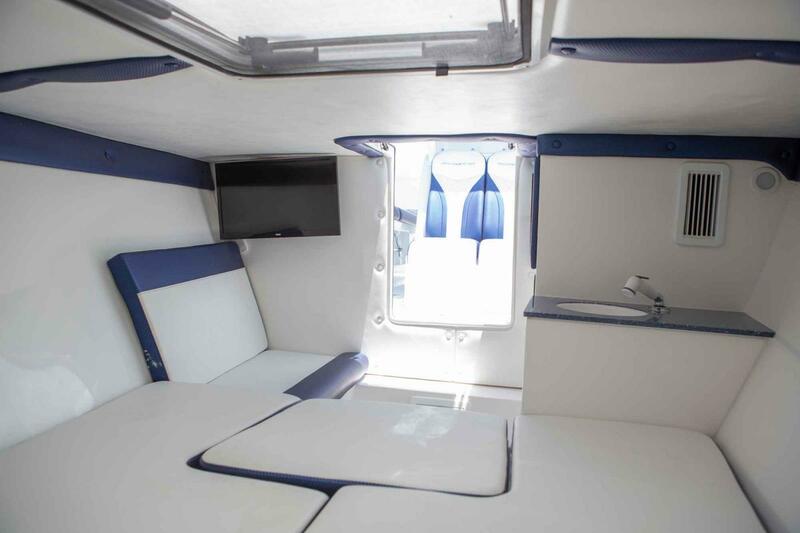 Along with ample storage on deck, the standard cuddy cabin design can be customized to include all the amenities of home, including a closet, sink or space for marine electronics. 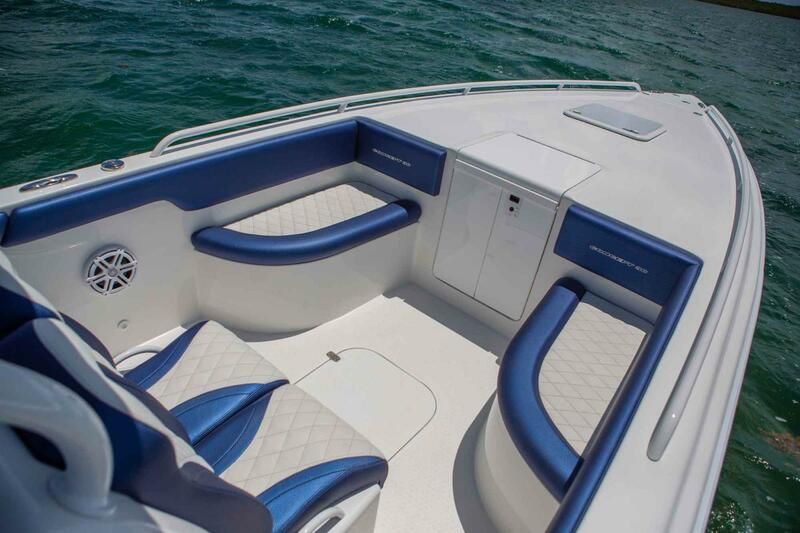 Customize the interior to suit your tastes, with high quality vinyl choices in all colors. 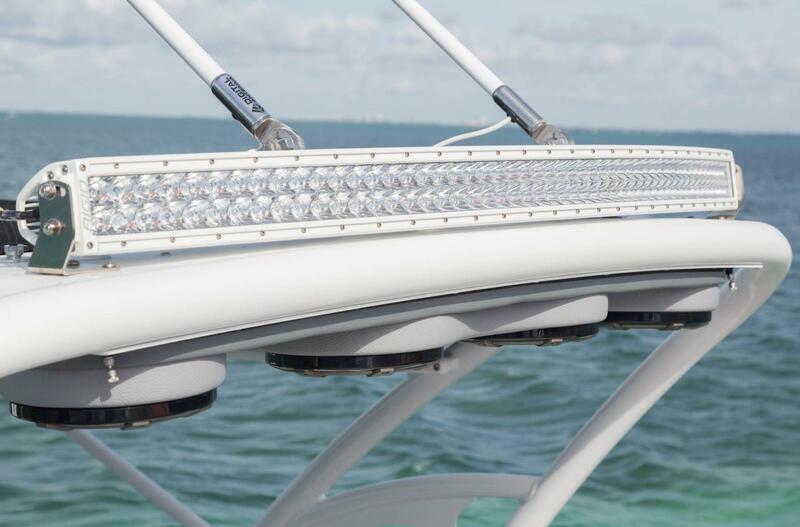 For extra protection from the natural elements, choose from a wide array of t-top or radar arch options. 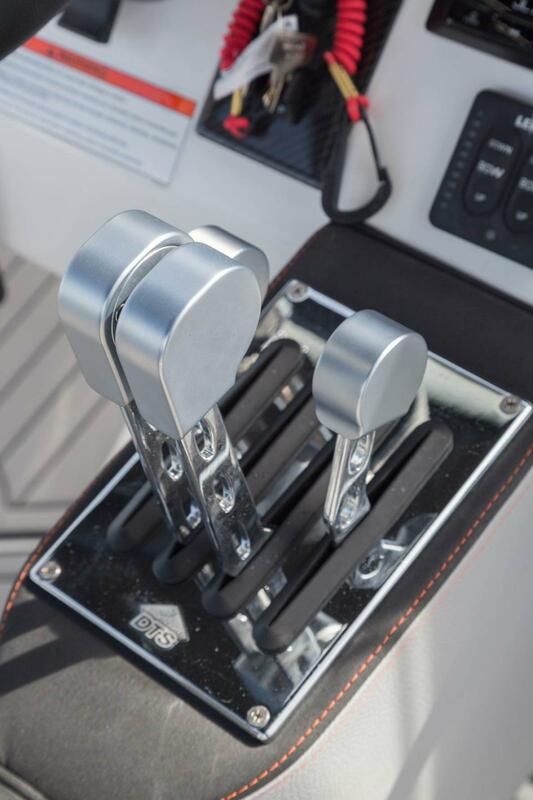 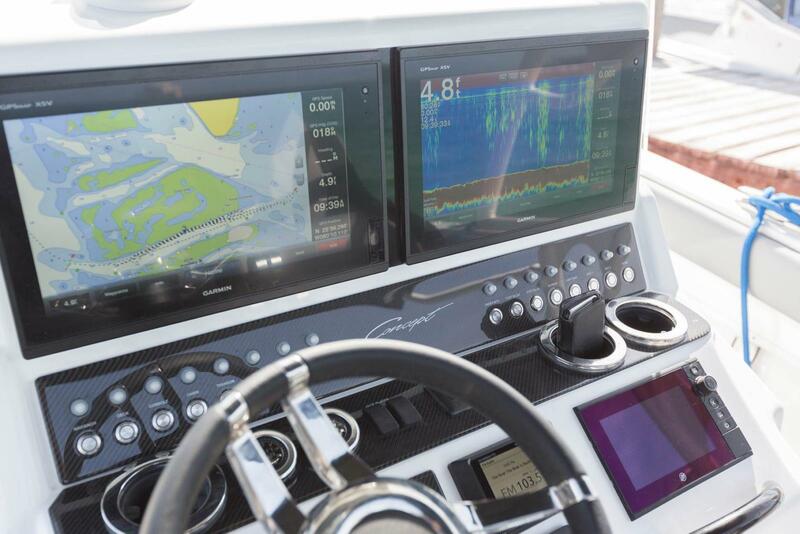 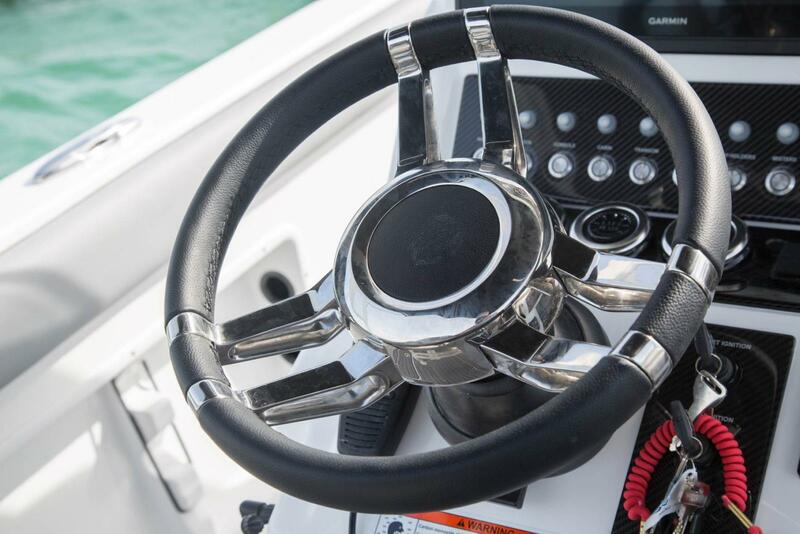 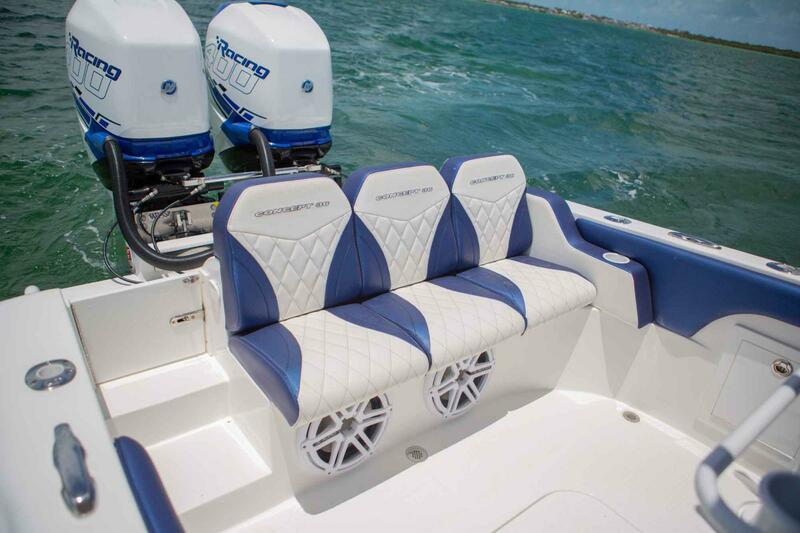 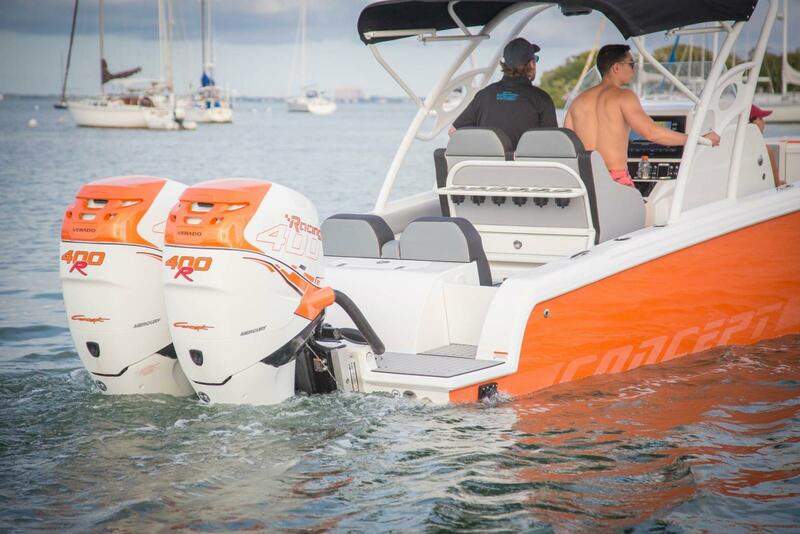 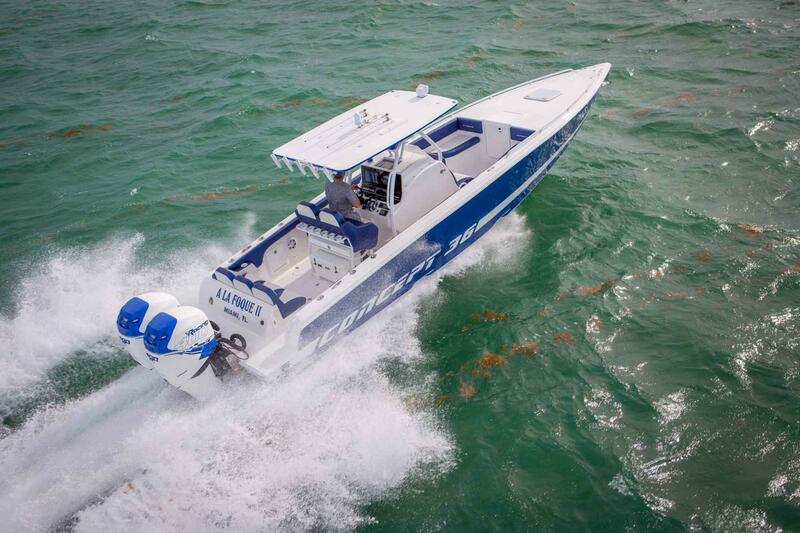 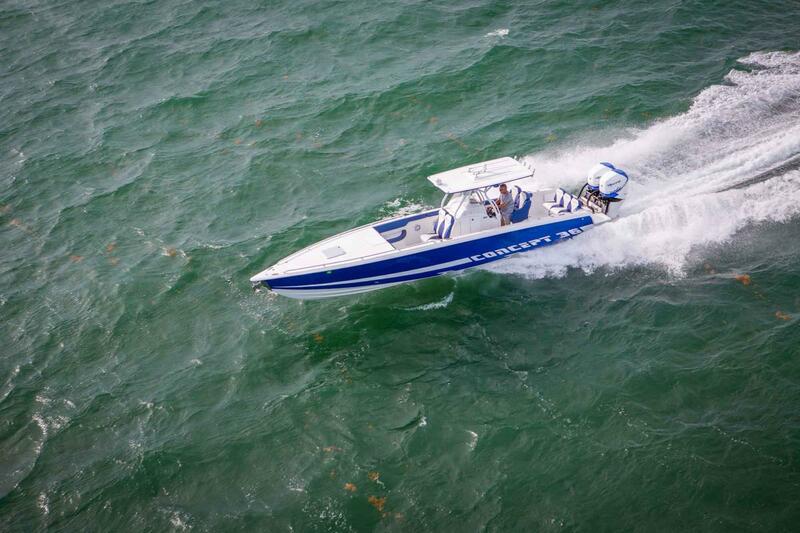 Maximum Outboard Rating 800 H.P.